Applied kinesiology is a school of thought that aims to diagnose and treat all sorts of physical difficulties. The foundation for this school of thought is formed around the idea that each muscle in the body is connected through an energy pathway to an organ or gland within the body. The theory goes on to imply that if there is a problem within the muscle, that it may in fact be closely related to the organ or gland it is corresponding to. Through this understanding, combined with knowledge in neurology, physiology, and other body systems, those who practice applied kinesiology are able to diagnose and treat problems their clients are having. Applied Kinesiology was founded by George Good-heart. Good-heart was an American chiropractor, who found that in his practice found that clients had difficulties with their posture, or muscles even though they have no chiropractic ailment. Good-heart studied the fundamentals of acupuncture, as is evident through the continuations of the energy connection in his Applied Kinesiology. He began using this in his own practice in 1967, but started teaching it to others during the 1970s. In 1976, as a result of his efforts, the International College of Applied Kinesiology was started. The college is an international organization where they teach the fundamentals of Applied Kinesiology. Classes are being offered all over the world, including Europe, Australia, and North America. Applied kinesiology is offered in many different areas of the medical and homeopathic world. Among those who are most commonly using this method, include chiropractors, along with physical therapists, massage therapists, and even some medical doctors. The common thread of this method is noticing a muscle weakness and connecting it to other problems that occur in the body. Some of the problems that have been identified through the use of applied kinesiology include things like, nerve disorders, low blood volume, fluid draining into the system from the lymph nodes, and the blocked acupuncture meridians. The focal point of applied kinesiology is done through testing the muscles. By pushing against certain areas on the muscles, like pressure points, the practitioner can watch to see how the client’s body reacts. By using different amounts of pressure on the body, the technician can watch the body change its reaction. This testing is done after you’ve already talked to the practitioner about your personal medical history and your symptoms. For example if you are an office worker, and you have pain in your neck or hands, that’s where the practitioner will focus. Those who practice in applied kinesiology also look for things like a lack of vitamins or nutrients in the way a client is eating. It is though that this will also be shown through the testing that is done on the muscular system. This may be the focal point for applied kinesiology; however, it is not the only diagnostics tool used. Many practitioners will include standard methods of testing as part of their process, including things like x-rays, blood work, and other imaging and laboratory work. Applied kinesiology is not able to cure major health problems; however, it can be used as a homeopathic or holistic additive to your more traditional treatments. Applied kinesiology can also help to prevent you from having other health problems to contend with. As part of a preventative measure, applied kinesiology can be highly effective. Applied kinesiology can be used to diagnose some conditions including things like general joint aches, migraine headaches, and many more. Applied kinesiology is often used in combination with methods like supplements, as well as things like acupuncture and traditional chiropractic treatments. This gives the practitioner multiple methods to use once they have a diagnosis. 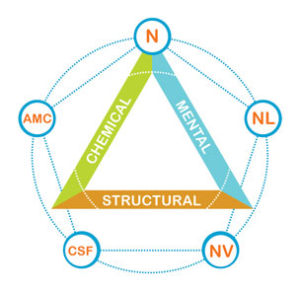 Applied kinesiology can be used to treat a breadth of problems. Some of the things that applied kinesiology has been effectively used to control include chronic neck and back pain; it has helped clients overcome things like depression. Like with any other treatment, it is recommended that people first consult with their primary care giver. This can help to ensure that they aren’t going to further damage themselves, or interact with current medications. Applied kinesiology should only be used as part of a homeopathic additive to tradition methods of treatment as studies remain inconclusive as to the effectiveness of kinesiology treatments. For some clients this practice can be highly effective. Working with an applied kinesiology specialist may help those who are looking for a natural or holistic approach to medical reasoning. Some of the areas that applied kinesiology has shown promise in include allergies and ailments like asthma. Though applied kinesiology cannot be used as a cure for these conditions many practitioners aim to lessen the symptoms that are associated with these conditions. They do this through the goal of increasing the body’s ability to fight off disease through an increased immune system, improve the way that nerves in the body are working, and assist with other bodily functions such as digestion. Practitioners using it to treat these types of symptoms often combine the treatment with an herbal or supplemental approach. This allows them to treat all different types of problems. It’s not uncommon for these practitioners to aim to improve a client’s overall wellbeing, including working on aspects of their health that might seem unrelated to the diagnosis. However, it is believed that if a person’s health can become balanced that they will be better equipped to handle. Kinesiology has not been completely backed by science, though that is where its foundation lies. It should be considered as an additive to what treatments are already in place and being worked upon, rather than a replacement. Another reason that people turn to this form of treatment is that medical tests have failed. Holistic medicine, like applied kinesiology, can give those who’ve been failed by the traditional system new hope, and guidance to follow up with a medical professional.